Even if this site has a responsive, mobile-friendly layout, it does not provide a dedicated mobile application. 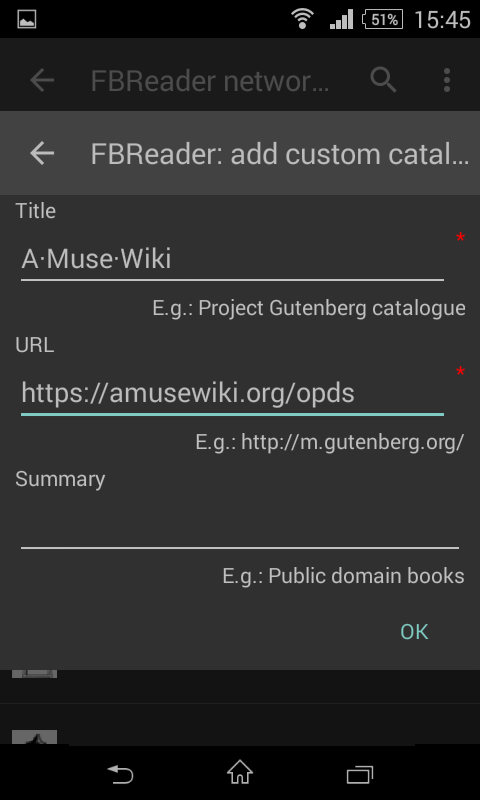 However, you can browse, search, download and read the texts from mobile reading applications which support the so-called OPDS protocol. In this example, we use FBreader, but the procedure is pretty much the same for all applications. All you have to do is to add https://fi.theanarchistlibrary.org/opds to the network libraries. 1. 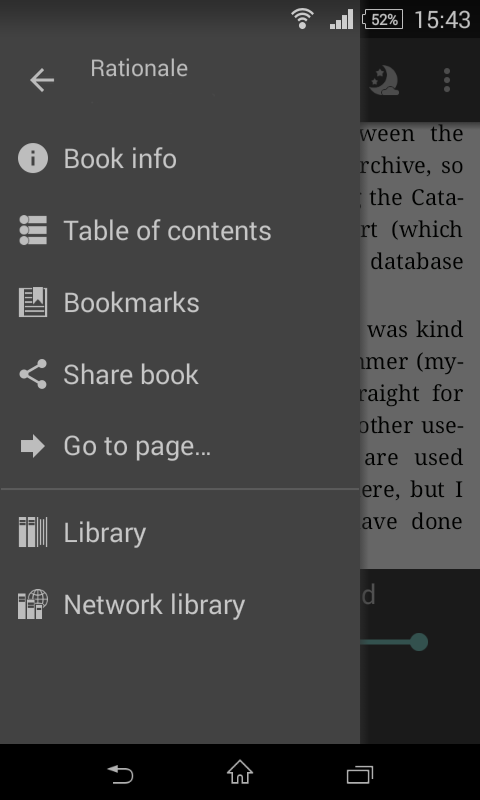 Find the network library menu, or equivalent. 3. 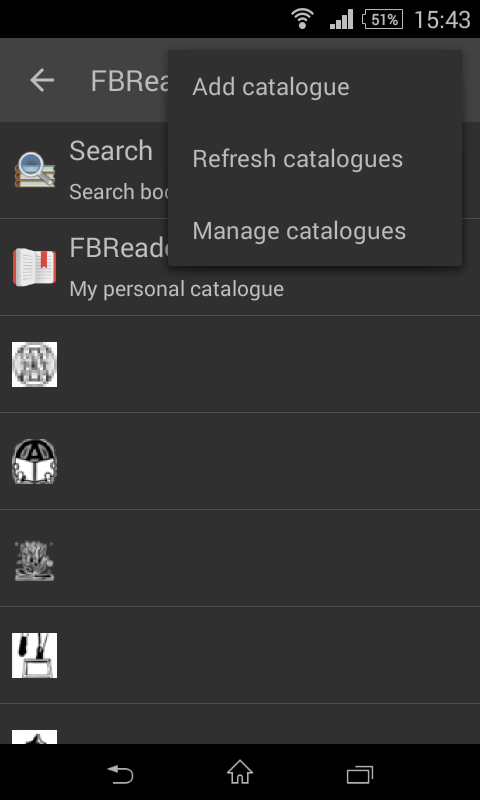 Find the add catalogue menu.